– Why did you think there was a need for a book that presents the true nature of Islam? There is little literature that highlights the deep reflections and introspection that is taking place in parts of the Middle East around Islam. This work is being driven by Muslims and from an Islamic theological set of principles and this has been ongoing for over a decade. There is much talk about ‘Muslims not doing enough’ and we try to set out that maybe people are not looking over into what is happening and taking place in the Middle East to tackle extremism, but also in bridging the East and West. There are lots of books and articles about Islam and whether it is ‘compatible’ with Western values. We outline the fact that Islam and its interpretation are flexible enough and compatible enough with a Europe that is based on secular and liberal traditions – though these are also being challenged by the rise of populist and xenophobic parties in Europe. This book thereby undermines the view that Europe and the Middle East will be in perpetual conflict. From within the heart of the Islamic world, in Jordan – with a deep Islamic history – we see that some of the solutions to extremism have come through strong leadership and from Islamic theological leaders coming together. There is hope and this hope must win over the politics of fear which is fuelling anti-Muslim prejudice and Islamophobia in some parts of Europe. – Could you briefly summarise the King of Jordan’s Amman Message for people who are unaware of it? The Amman Message, in summary, is a nationwide Jordanian attempt to provide a set of theological frameworks to tackle extremism. At the core of this, was a response from Jordan’s Royal family that something needed to be done to provide an Islamic theological set of positions against extremism post the Beslan massacre that horrified so many. The Beslan massacre was a driver for the His Majesty King Abdullah II to push for a theological framework through which religious leaders, civil society activists and community leaders could challenge extremism and build resilience in Jordanian communities. Yet, the vision was wider and there was a genuine belief that that Amman Message could be promoted and pushed in the Middle East and also within Europe, so that it could also challenge perceptions of Muslims in Europe which have been progressively been turning negative. It was a vision of a Europe and Middle East that were co-dependent and reliant on each other to tackle issues of extremism. – In your opinion, what is the most interesting issue that the book raises? The book raises a range of issues. 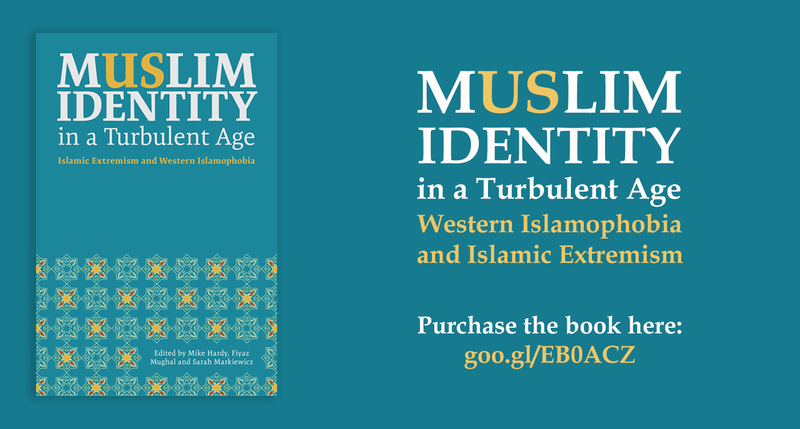 It looks at Muslim communities in Europe, challenges that they face and how there are developments emanating from the heart of Muslim majority countries that can reduce Islamic extremism. It also looks at the challenges within Europe of a rising set of issues around migration, integration and extremism, whilst reflecting on Islamophobia and anti-Muslim prejudice that further fuels separationism and grievances. This cycle is one that the book explores with views from across Europe and the Middle East. – The book presents perspectives from writers of various faiths, including those with no religious affiliation at all. What was the thinking behind this? The reality is that the writers reflect Europe in all of its pluralism. It also reflects a world which is complex and with competing world views which are precisely reflective of debates on Islam and Muslims and on the relationship between Europe and the Middle East. This complex and fast shifting environment is what the book captures and provides a snapshot into a world where communities seem to be more fractured. – What do you hope readers will take away from the book? We hope that readers take away the hope that from within Muslim majority countries, the theological solutions to extremism are developing. They will have long lasting impacts over the next 50 years and readers should also take away the fact that there are challenges in Europe in reducing the xenophobia and populism that could well fuel further grievances and extremism in the future. We simply cannot afford to be complacent. For more information and to buy the book, please follow this link.